We’re pleased to announce our new “Pawgevity Pick Up” service for our local customers. Here’s how you do it. 1. Place your order by e-mailing info@pawgevity.com – we will need your name, phone number, what you’re ordering, and when you’ll be picking up. You can also call your order in to 540.364.3676. Please note: we will generally need 24 hours notice. 2. You will receive confirmation, payment total, and directions to our homequarters. 3. Your order will be marked and waiting your arrival. All pick ups are COD – cash or check. If you’d like to charge to your credit card, we’ll collect that info over the phone prior to pick up. 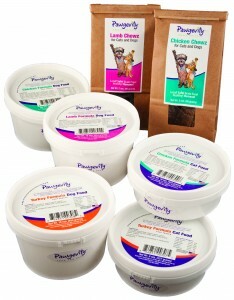 We have frozen inventory as well as our dehydrated Chewz treats on hand so call in your order today. Frozen Formulas are $6.75/lb tub. This entry was posted in Pawgevity Info and tagged frozen, how to buy Pawgevity, local, local buyers club, order Pawgevity. Bookmark the permalink. Post a comment or leave a trackback: Trackback URL.